American growers have developed some incredible cannabis genetics. Here, we provide you with a list of the very best American cannabis varieties. America has been acquainted with cannabis ever since its establishment. George Washington used it to alleviate his toothaches; Cannabis indica was officially introduced as medicine in the 1840s after O’Shaughnessy discovered its amazing effects; jazz musicians smoked tons of weed. Artists, Mexican refugees, legal and illegal grow houses, marijuana legalization—America truly possesses a rich cannabis discourse. 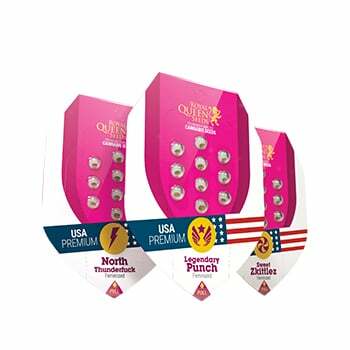 This blog is a tribute to the best American strains, all available at Royal Queen Seeds. As Italian immigrants brought with them their delicious gelato recipes, cannabis enthusiasts were inspired. Green Gelato is a hybrid strain that comprises almost equal levels of sativa and indica genetics. It’s an extremely potent strain that reaches up to 27% in THC, which is absolutely insane considering that even 20% THC is considered quite potent. The flavours will leave any consumer in a state of bliss. Sweet, citrusy, and earthy aromas will bring on happy memories filled with delicacies and sunshine. This variety represents San Francisco, a city where quality weed is a must. It’s time to flex those muscles and embrace the green side—HulkBerry is here. This plant develops up to 27% THC too, inducing super powerful highs that feel very energetic and clear. If one wishes to smash negativity with HulkBerry, embracing its essence is a wise choice. The creative highs are evident upon toking this beast. It’s a sativa-dominant strain that has been concocted by mixing the legendary OG Kush with Strawberry Diesel. Colorado is the epicenter of HulkBerry's creation, the state where cannabis has fully taken over. With its superpowers, HulkBerry develops significant yields, especially given its insane potency levels. During the ‘60s and ‘70s, American tourists travelled to India as a part of their spiritual hippie quest. They soon became acquainted with the landrace indicas deriving from the Hindu Kush mountain range. As they returned to their homeland, they brought with them some epic seeds. They have been selected and stabilised over the course of several decades. That’s how Purple Queen came into existence. It’s a mix between Purple Afghani and Hindu Kush landrace varieties. 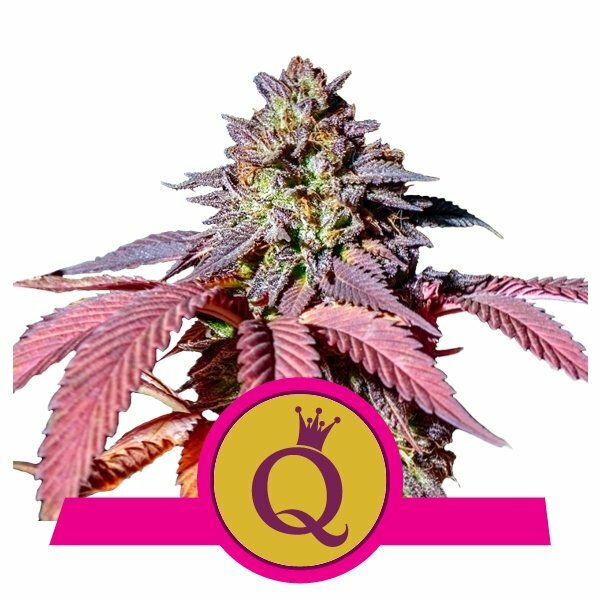 Purple Queen develops beautiful purple colours on her buds and leaves. She induces super mellow, relaxing, and narcotic highs. Fat Banana is a truly unique strain that represents those delicious American Kush varieties. The sweet, fruity, and banana flavours enrapture the consumer with sensational highs. Once those cannabinoids surpass the blood-brain barrier, deep muscle relaxation coupled with a peaceful mindset will embrace the satisfied consumer. This tropical strain produces approximately 25% THC, which is mind-blowing. It’s a part of the American cannabis culture to push those THC limits to the maximum. Fat Banana is a manifestation of this process. This plant needs string support or some kind of size-control techniques to contain its bestial size. Two breeders from the US, Joesy Whales and Lone Watie, developed an amazing variety by accident from Sour Dubb and Chem Sis. The resulting strain was super sticky and super potent, and was eventually coined Gorilla Glue. This strain was further mixed with Chocolate Diesel to develop Royal Gorilla, an epic cannabis cultivar. This plant is a relatively new-school strain that is likely going to take over the market with its rushing and euphoric highs. The THC levels reach approximately 27%, and some growers have even noted phenotypes that reach up to 30%, which is monstrous! 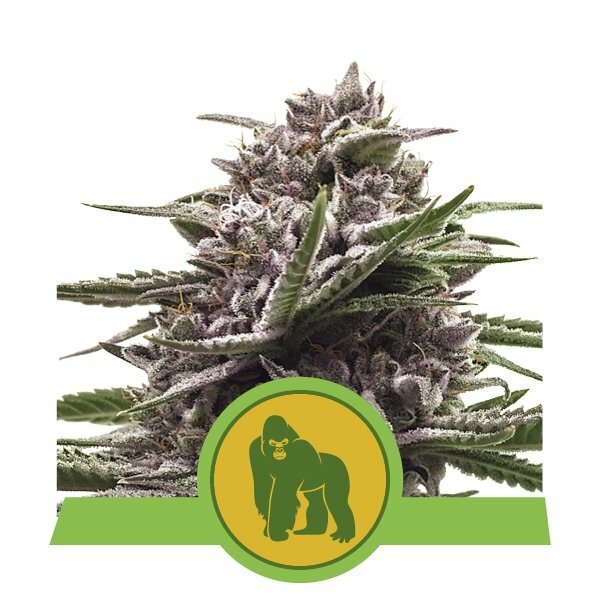 The pungent, earthy, and pine aromas are an expression of Royal Gorilla's character. Girl Scout Cookies is the pride and joy of American cannabis genetics. Breeders have been stabilising and hybridising this plant with other varieties to increase their potency and deliciousness. 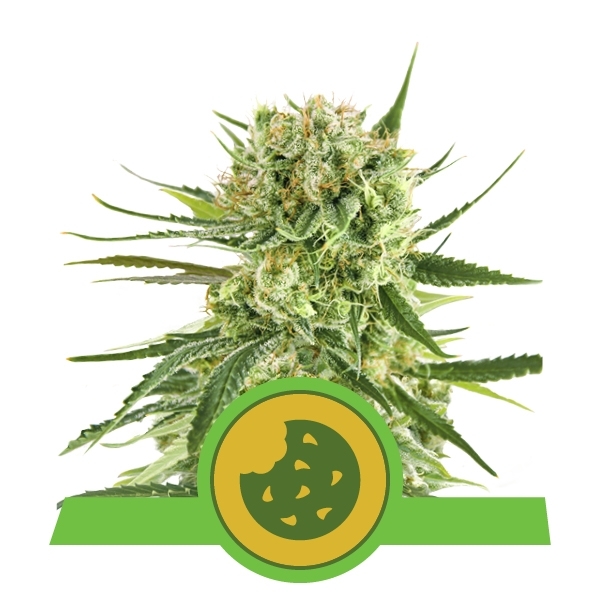 Cookies Forum was developed by mixing some of the best Cookies strains. This strain was then hybridised with another Cookies Forum plant, which resulted in Royal Cookies. It’s a very potent indica-dominant strain that shall induce those sweet and awe-inspiring highs. The relaxation is real, the sweet flavours are real, Royal Cookies is as real as the streets. This autoflowering variety mixes some of the finest American genetics known to mankind. By combining Gorilla genetics with impeccable Cookies and ruderalis, an extraordinary plant came into being. The THC levels reach approximately 20%, which is a significant amount for an autoflowering variety. After hitting that toke, consumers will feel more stoned than high. It’s a very physically relaxing strain that can induce some interesting meditative contemplations. The yields amount to around 120–170g/plant, providing growers with delicious-looking buds covered in sticky resin. If a truly American autoflower is desired, Royal Gorilla Auto attends to all your needs. For all growers seeking American Cookies recipes, the main ingredient will, of course, be the illustrious Royal Cookies Auto. This autoflowering cultivar was realised by combining the famous Royal Cookies with ruderalis plants that evolved into Auto Thunderfuck BX2. Royal Cookies Auto is an indica-dominant strain that induces very relaxing, cosy, and euphoric effects. From seed to harvest, it takes Royal Cookies Auto approximately 8–10 weeks to develop perfectly mature buds, ready to spread their cookie magic across the globe. The sweet and earthy flavours are the signature of this superb autoflower. America is leading the way in terms of marijuana legalization. Their state-of-the-art cannabis operations provide weed aficionados with amazing quality buds. Let's pay our respects to the dedicated American growers who pursue the development of super dank strains. The long-awaited launch of our USA Premium range is finally here. Paying homage to the growing prowess of American markets, each strain has been given the RQS touch, thus providing an out of this world experience, each and every time. The long-awaited launch of our USA Premium range is finally here. Paying homage to the growing prowess of American markets, each strain has been given the RQS touch, thus providing an out of this world experience, each and every time. !